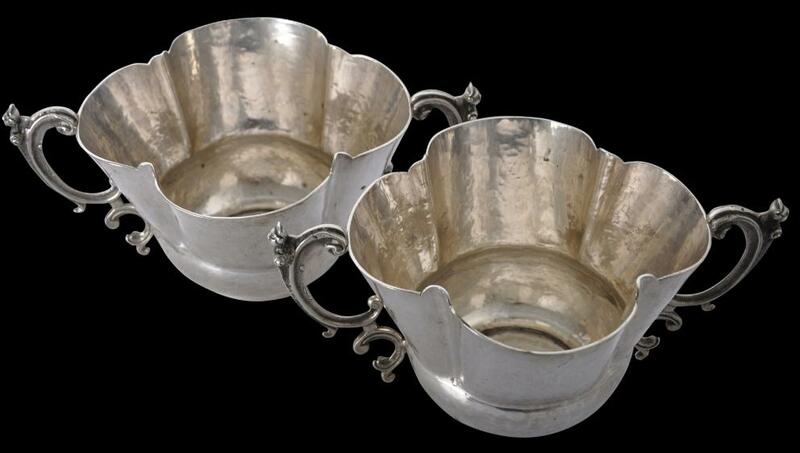 This pair of pleasingly sculptural bowls are of high-grade silver which has a ‘rawness’ and purity associated with silver from colonial Central and South America. 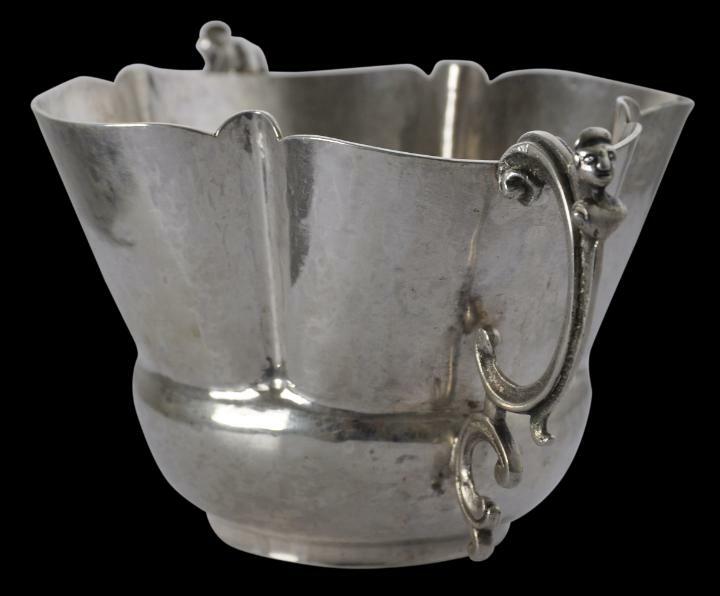 Probably, they date to around 1840, and most probably were made in Mexico or perhaps Peru or Bolivia. 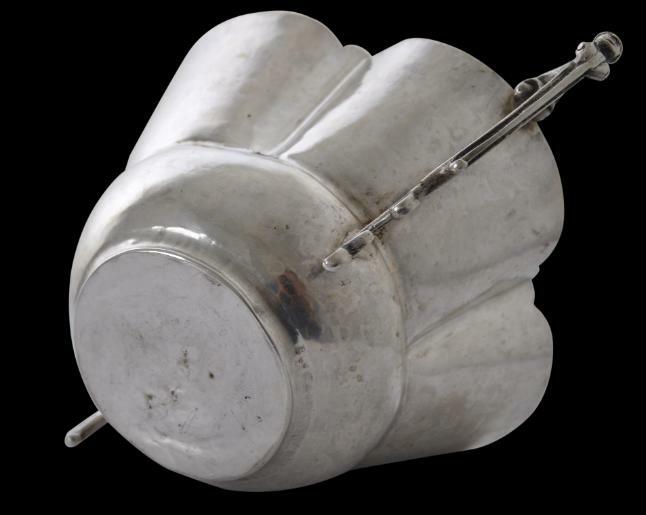 The body of each is constructed with four prominent, flared lobes, rising from a flattened spherical lower section. 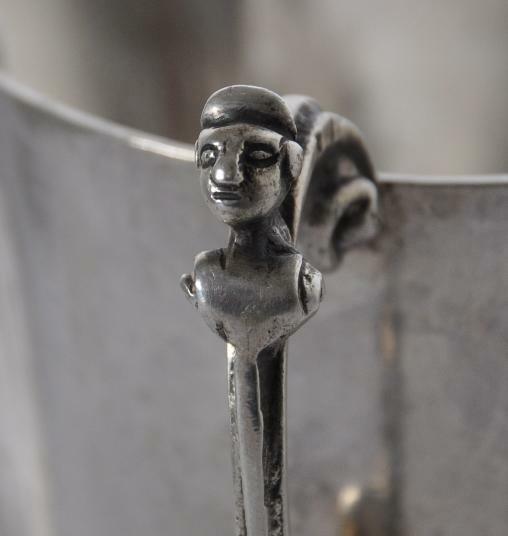 Each sits on a low, enclosed, ring foot, and each has a solid silver cast pair of double ‘C’-form handles, decorated with solid cast humanoid finials. The bowls are quite similar in construction to a flared lobed pitcher of sauce dish attributed to Mexico’s colonial period and illustrated in Davis Boylan (1974, p. 142). 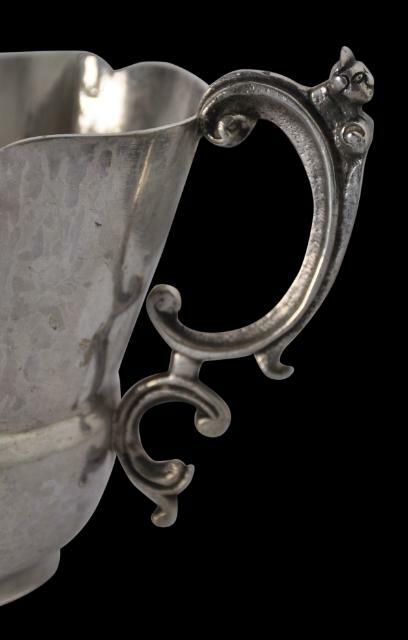 The uniformity of the handles suggests a mid-19th century rather than an earlier dating. Both bowls are in excellent condition. There are no maker’s or other marks.